In the past, I’ve gotten caught up on trying to increase food production and had plans to expand garden space and grow all the fruits, vegetables, and herbs I’ve read about. I get so focused at times at expansion that I neglect the garden space that I’ve already created. Having plans for expansion is great, but I’ve learned that it has to come in small steps. Being a steward of the soil and practicing good soil building techniques is essential to producing healthy and productive food crops for the long term. One of the first steps one can take at being a soil builder is mulching your garden soil year around. For us this involves collecting fall leaves, shredding them, and applying theme directly to the garden beds. Another important technique in soil building is practicing no till gardening. Garden soil should never be left bare for extended periods of time. Exposed soil becomes victim to soil erosion from rain and wind. This leads to a loss of humus and topsoil which are vital to the productivity to your crops. Soil erosion is a serious threat worldwide. It is 2nd only to population growth concerning environmental problems. I enjoy pushing my hand into my garden soil and feeling lush, rich topsoil and I think mulching the garden soil each fall with shredded leaves is a major contributor to it’s lushness. Once the leaves are raked into piles, we mulch them using a Black & Decker BV2500 12 amp Electric Blower/Vacuum/Mulcher. We place the mulched leaves on the garden beds throughout the year. 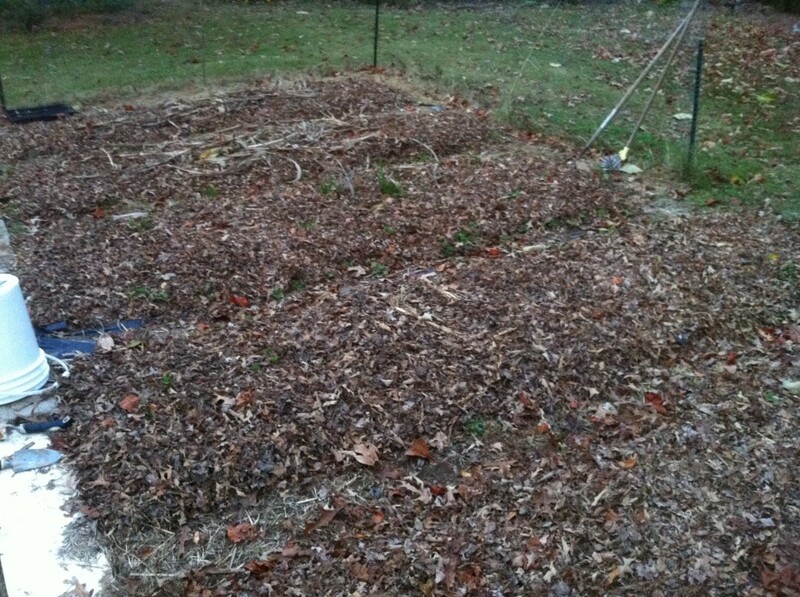 Any extra leaves are placed in leaf bags and stored for mulch application in the spring. Before mulching we also chop and drop in place the crop residue. If available we also add straw mulch, kitchen scraps, tree twigs, tree bark, small tree branches, and shredded paper/newspaper to the beds. Though we do have a compost bin, I like the idea of composting in place on each individual bed when it can be done. I will continue to add shredded leaves to the garden bed soil in the fall to brake down over winter and incorporate into the topsoil. As beds are planted with transplants and direct seeded in the fall I will continue to add mulch from additional bagged mulched leaves and purchased straw. Compost from the compost bin will also be added to garden beds but as mentioned earlier, I favor composting in place to compost bins. I will continue to use cover crops in the spring and summer, but I plan on experimenting with planting cover crops in the fall before adding the fall leaf mulch. Though I have experimented some in the past, I plan on using more living mulches in some beds where crops like tomatoes, corn, and/or peppers will be grown. This spring I also plan on planting the paths between beds with a living mulch of white clover.